Keep your lawn & garden green and full, and use half the water! The eco-friendly WaterXtender™ is the aerobic bio-stimulant solution for improving plant growth while dramatically reducing the amount of water needed for a healthy lawn or a robust garden. WaterXtender is incredibly effective in drought conditions! KEEP Your Lawn & Use LESS Water! Keep your lawn and cut your water bills. Soil with WaterXtender™ uses half the water and keeps your grass flourishing. 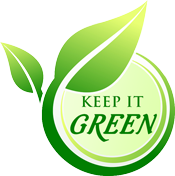 When you hear let it go brown and take it out - you can say “I’m keeping it green with 50% less water”. The eco-friendly WaterXtender reinvigorates your soil with natural bacterial stimulation! WaterXtender extends water using wetting agents that remain in the soil. When you use less water, you cut your water bills. Nationwide, over 30% of household water goes into the yard. In So-Cal, it’s as high as 53%. Cut your bills in half by using less water. Now’s the time for WaterXtender! Drought destroys beautiful lawns and gardens. Using WaterXtender saves your plants from hot and dry conditions through its patented moisture control formula. Not only does WaterXtender keep your soil moist, it also supplies plant nutrients through bio-stimulation. Beat the drought with WaterXtender! Especially Effective in Drought Conditions! Our organic and eco-friendly system is simple: just spray WaterXtender directly on the soil of your lawn and garden. Once the WaterXtender™ is applied, plants receive nutrients through the special bio-stimulant formula, and help the soil retain water. You’ll see a cut in your water bills immediately…and results in about one week. Lower Watering Costs: Your lawn will flourish. Save Water: Extends water used for plants. Grow More With Less: Reduce watering frequency. Easy to use: WaterXtender does all the work. WaterXtender is a patented wetting agent and soil penetrant that also feeds the natural bacteria in your soil. This incredible blend of this environmentally safe formula improves the soil by conserving water and supplying nutrients through bio-stimulation. It is not a fertilizer. It uses nature’s inborn ability to feed the soil and retain water. In gardening, horticulture and agriculture, WaterXtender is the right choice in feeding your lawn and garden. To provide healthy, longer life for your lawn and garden even in drought conditions, using WaterXtender improves the soil with wetting agents and nutrients through bio-stimulation. WaterXtender works with all types of soil and perfect for hot and dry conditions. Later, when you see the larger and more bountiful fruit and flowers that your plants will bear, you'll be glad you did. You'll appreciate the savings in your water bills, too. WaterXtender’s ability to improve the soil through wetting agents and natural nutrients gives your lawn and garden the power to thrive in drought conditions. Flowers, garden vegetables, trees, shrubs, lawns, and houseplants will survive through the toughest dry seasons through its powerful eco-friendly formula. Just because they are green today, doesn't mean that you can neglect your green plants down the road. Fuller, healthier plants, fruits, vegetables, lawns, and trees benefit greatly from the soil nutrients created through bio-stimulation. The bio-stimulants in WaterXtender activate the natural bacteria and microorganisms in soil to process plant nutrition faster and more effectively. You can have healthier blossoms, shrubs and other plants faster with less water. Receive regular updates, news on upcoming events & special offers.